“I have to marry a lord.” The last word stuck in Grace’s throat. Maurice paused, his teacup halfway to his mouth, and Caroline gaped at her. In the silence of her friends’ drawing room, she became aware of the sound of her own breathing and the rattle of a carriage in the street outside. “My father hasn’t left me any inheritance of my own. Just a dowry, conditional on my marrying a peer.” No money to support herself, nor the right to look after her little brother. Father had always been insistent that she marry into the aristocracy, but she’d never imagined he would go so far. “Henry’s guardian is Lord Rayner.” His name made sour water flow into her mouth. For a moment, she thought she might retch. “Not Rayner.” Caroline’s blond curls bounced as she walked, as if moved by her agitation. “I know,” Grace whispered. Traveling from Geneva after receiving the telegram, she’d had two weeks to mourn her father and fret about Henry. But finally reading her father’s will this morning had emptied all the contents from her chest, leaving a gap where her internal organs should be. “My dowry is the only part of Alnott funds not in Lord Rayner’s control.” And she would give every farthing of it to get her brother back. She couldn’t give herself over to Lord Rayner, but abandoning Henry was unthinkable. “No one from Charterhouse?” Caroline insisted. Grace looked at her former neighbors, the first people she’d thought of coming to after reading in her father’s will that, in addition to being an orphan, she had no home and no money. Though not bourgeoisie like Grace, they were gentry. She wasn’t acquainted with any aristocrats, except Lord Rayner. Her father had known that when he’d written his will six months ago, just before he’d sent her to Switzerland. 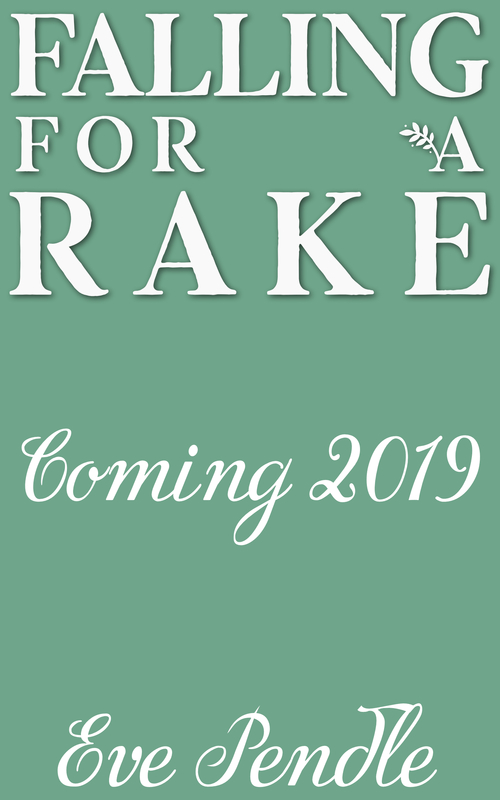 To learn some manners, he’d said, since she’d failed to catch a lord in her lackluster London season and refused to marry her father’s friend, the son he wished he had—Lord Rayner. Grace stared at the bright specks of dust in the air, highlighted by a sunbeam through the window. It was moving around gently, as though it were stirred by an unseen hand. She and her father had never been close, and his demanding she marry Lord Rayner, a pretty-faced monster, had estranged them. The contents of his will had destroyed any remaining filial affection. “My priority has to be looking after Henry.” She was powerless. The choice was impossible—marriage to Lord Rayner, or never seeing her brother again. “Perhaps there is no alternative but to marry Lord Rayner.” She didn’t feel the awfulness of that acknowledgement, or the pain of knowing it would condone what he’d done to Anna. It was as though she were watching herself from a great distance, or seeing herself through a fairground mirror–hall, where everything was warped and slim people appeared round. A little flumpof sound made Grace glance down. Caroline’s enormous hooped skirt had caught on a copy of The Timeson a side table and it was now lying next to her booted feet. She leaned down and picked up the welcome distraction. 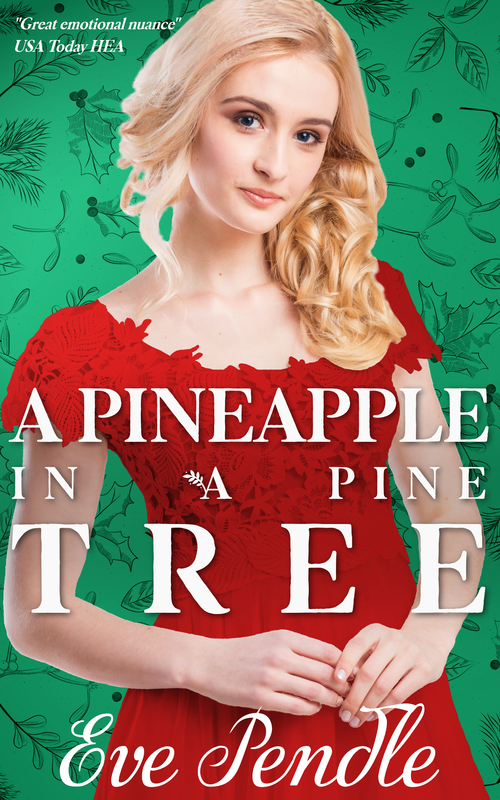 Opening it in the middle, she laid it across her lap like a blanket of protection. “Could we put an advertisement in the newspaper? ‘Wanted: Duke, Marquis, Earl, Viscount, or Baron. For good home. Reward, fifty thousand pounds. Baronets and Misters need not apply.’” She wasn’t sure whether she was joking or not. Desperation did that. All lords were arrogant and untrustworthy, too enamored with their own importance, but surely, not all were as evil as Rayner. Looking across at Maurice’s face, Grace saw it was as blank as her own felt. “Do you think it’s possible?” She would marry an old goat to get Henry away from Lord Rayner. She must have money to fight for him to be her ward and to take care of Anna and Anna’s baby, too. They deserved no less. “The Morrisons’ ball is tonight. There will be plenty of lords there,” said Caroline. As completely as the idea had filled her up, it drained away. A woman’s possessions always belonged to her husband. The newspaper was comfort, full of familiar commerce. The paper was smooth on her fingertips as she traced the columns. An idea felt as though it burgeoned from the black ink, all the way through her until it was in her mouth, fully formed. “In a normal marriage, yes, the husband controls the dowry.” Grace looked up at her friends. “But I could offer a marriage in name only. He shares my dowry, and I never bother him again. There must be lords who need money enough to consider such a deal.” There were surely plenty of silly aristocrats who had frittered away all their money. “Yes. Yes, exactly. Could it be done?” Caroline turned to Maurice. Grace shook her head. “I had to leave the finishing school in a hurry. I wanted to get to Henry.” Her voice nearly broke, but she swallowed down the knowledge that her brother was alone. “Any protection I created for the marriage would be worthless in a court of law,” Maurice finished. But what else did she have? She’d have to trust a lord to keep his word, which was a gamble. But with a share of her dowry she could fight for custody of Henry, and with him would come the stores, since he’d inherited them. She could protect her brother and the hundreds of people employed by the stores, as well as ensuring her parents’ legacy wasn’t embezzled away. It might end in failure if the courts found against her, but she had plenty to say about Lord Rayner’s character. The merest chance of succeeding was worth the risk. “You wouldn’t mind?” Grace looked between her friends. To find a lord willing to enter a sham marriage with the daughter of an owner of shops, she would require every advantage possible. Most importantly, she’d need the support of her friends. Borrowing a dress was just the beginning. She was dragging them, by association with a woman seeking a marriage of convenience, into ill-repute. “Of course not.” Caroline grinned. She was the first person Everett saw when he entered the ballroom. A glimpse of a lady he didn’t recognize in bright yellow, on the far side of the room. Then, amongst the fashionably dressed ladies in delicate, washed out pink or green dresses, she disappeared from sight. “A magical cure for cattle disease?” If he had a way to save cows from rinderpest, he could go home tonight. A more realistic solution. Everett disliked it only slightly less than the disease. The role of fortune hunter didn’t feel as repulsive as he’d expected, but it still sat as uncomfortably on him as the title, Lord Westbury. “Is Sarah here tonight?” Everett evaded. “And how is little Jonathan?” Was that jealousy in his tone? His little brother seemed to have a charmed life, devoid of cow disease and responsibility to tenants. Everett sighed and nodded. “With enough to pay the debts?” It was unlikely; there weren’t many so rich. Scanning the room, he tried to catch another glimpse of stunning yellow. “A half share of her dowry. Fifty thousand,” George announced. Then she reappeared, gliding right past him. She was resplendent in a dress the color of sunshine, her head tilted back as she waltzed, showing the curve of her neck and the angle of her jaw. Her dark hair gleamed, complemented by the brightness of her dress, as she danced like she was the only person in the room who mattered. Her jawline was too strong for conventional beauty, but something about the way she held herself was mesmerizing. She was like a cat walking along uneven ground, not perfect, but compelling. This was the first cut of interest he’d felt since he’d begun his fortune hunting. It would be something to have such a lady for a wife: so beautiful and confident. Of course, if she wanted to live abroad, she wouldn’t be a true wife. But what did it matter? She would be like a wildcat living on the fringes of his estate, untamed and free, but technically his. Wary, coat gleaming, dangerous. If he found a wildcat, he would entice it with cream and take care of it, like he did with everything that was his. How ought he approach this lady? A gentleman would be patient and put his name on her dance card. A true earl would be roguish and charming. His military instinct was to come straight to the point. Sighing, he forcibly relaxed his stance out of his upright bearing. This was a ballroom, not a battlefield, so he must act the rakish lord. How many days? That was the question occupying Grace’s mind while she danced. How many days could a four-year-old boy retain his sense of right and wrong? How long would it be before he was either scarred by Rayner or molded in his image? Definitely the fortnight that had already passed he had managed. Perhaps a month? Every day she didn’t have money to pay for the case in Chancery to get Henry away from Lord Rayner was a risk. She mentally compiled the list of possible candidates. It was a short list. In fact, it wasn’t a list, it was two men. A viscount had emerged from the card room, then returned there immediately. He’d rolled his eyes at the late morning time she specified for them to meet tomorrow, as though she ought to know he was much too superior to be out of bed before twelve. The lord she was currently dancing with was ostentatiously lecturing her on the correct posture in a dance. She wasn’t certain yet he fit the requirements of her father’s will. Was he a peer, or just an arrogant young fop with a courtesy title still belonging to his father? She needed to catch Caroline’s eye and ask her to check, but she was preoccupied with where he might put his feet next. Grace jerked away from a step threatening her toes and found herself eye level with a set of broad shoulders in a perfectly tailored coat. “May I cut in.” The intruder’s tone made it a statement, rather than a question. Grace looked up at the stranger and felt something pitch over in her. His gray eyes shone with roguish amusement, inviting her to share in it. She stared, taking in dark hair, which was fashionably slicked back with macassar, and his square jaw, set off by a wide mouth made for sin… Which she was not going to participate in. She had been numb since her father died, unable to think of anything but getting Henry back. But the boorishness of a man she wasn’t familiar with, cutting into a dance with her best chance of saving her brother, made her grounded and full of vigor. It took her a few seconds of staring up into his confident expression to recognize her feeling. Anger. Her chin pulled back at his presumption, but as she tried to find the appropriate put-down, the word “no” didn’t emerge. Her partner spluttered impotently and loosened his grip on her hand. Thus relinquished, she was immediately in this stranger’s arms. Efficiently, he placed her hand on his shoulder and spun her away. Grace followed his lead, but the feeling of annoyance filled her disproportionately. She didn’t have time for distractions, though it was good to have a tangible presence to be angry with. His small misdemeanor gave an outlet for her frustration at the men and lords who dictated her life. “I don’t believe we have been introduced, sir,” she said to his top button. “No, we haven’t.” His cheerful tone refused to acknowledge her implied accusation of bad manners. “Is the intention I should be impressed by your show of manly dominance? Am I to be bowled over by your disregard for propriety?” Rather than give him the credit of her full attention, she looked past him into the swirl of dancers. She made the hop step the polka was known for and the man supported her, almost lifted her in it, his touch firm on her waist. Grace clenched her teeth. She wanted to bat away hands seemingly intent on controlling her; she had enough already. At the same time, though, his proximity made her heart beat faster. No. That was just the vigorousness of the dance. She couldn’t deny that this evening she had deliberately courted gossip, so much so that a man as handsome as him must be desperate for money to invite speculation by dancing with her. A peer. A flicker of interest ignited in her. He might be rude, but he was a lord. What did she expect? Grace frowned, about to object to this patently untrue statement. Another hop in the dance momentarily brought her closer to him. His jawline was strong, and there was a hint of a rough shadow on his chin. Unbidden, she wondered how his rough stubble would feel if it scraped against her cheek. He asked to call her Grace, as though they were intimates. And he made it sound reasonable. “My name might change, but I will always be an Alnott.” Alnott Stores and her family responsibilities were a part of her, thwarted but resilient. The thought of her mother finely sliced her insides. She had promised Mother long ago she would take care of Henry, and she hadn’t seen him in six interminable months. “Grace,” she answered, trying to stem the hurt. “Graceful Grace.” There was a smile in his voice. She clenched her jaw. Her mother had playfully scolded her father when he’d said she ought to live up to her namesake. The memory was a pound weight dropped into the void of her center. The words and his lips brushing the sensitive skin of her ear sent shivers through her. Pushing back her shoulders, she braced herself. She wasn’t going to make the mistake of falling for a man again. 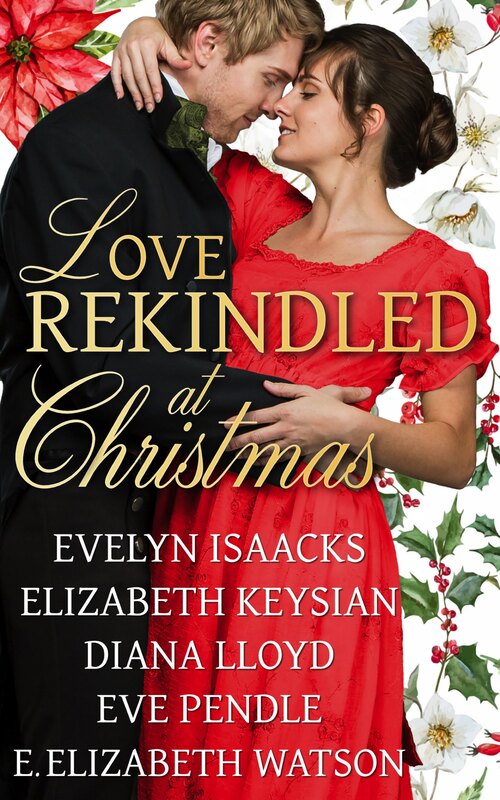 She’d paid the price for her foolishness in heartbreak over Samuel Brooker, then guilt, and worry about her former maid. “No.” Her confession caused another curl of resentment to twine around her. The closed off little Swiss finishing school she had attended for the last six months focused on gentle arts and domestic duties. Anything even tangentially related to the political sphere was thought to be the appropriate place for men only. Newspapers, especially English ones, were rare contraband. “I see.” His tone rang with disapproval. “It is a terrible cattle disease that has swept across the country these past few months, killing all the cows. Well, 90 percent of them, anyhow. That is to say, only one in ten survives,” he added condescendingly. She knew what a percentage was. Presumably, he thought she was an idiot because she didn’t know about rinderpest. He must think she didn’t take an interest in anything but feminine trivialities. She ought to say she had been abroad, but really, what would be the point? “Why do you want a share of your dowry?” he asked after three bars of music. “Where do you wish to live?” She couldn’t ascertain his opinion from the tone of his voice. Was there a slight depth that hadn’t been there before? “Paris, Provence, I don’t know yet.” Maybe she’d go back to Switzerland with Henry and they could live in the mountains or next to one of the pure blue lakes. She was becoming dizzy with the turns, struggling against the impulse to hold his gaze as a constant in the chaos of silk and color. “Near water,” she gasped out. She’d always liked the restless tranquility of seas and rivers. The music slowed, and he slowed them with it. As the last notes of the music played, they came to a gradual stop in the middle of the room. It forced her to look into his eyes as she released her grip on his shoulder and stepped away. Around them, the other couples were making their way off the dance floor. The audacity of the man was outrageous. When he’d talked of rinderpest and the needs of his estate, she had thought he might be responsible and honest, but clearly it was just pride, like all aristocrats. “You can join the queue of applicants, my lord. At one o’clock.” A queue of only three, but she had placed him at the end of it. She gave him the address where she was staying with her friends the Fishers, then turned and walked away. There weren’t enough lords for her to dismiss him altogether. But still, placing him at the end of the list emphasized she had the power to choose. And to not choose him. 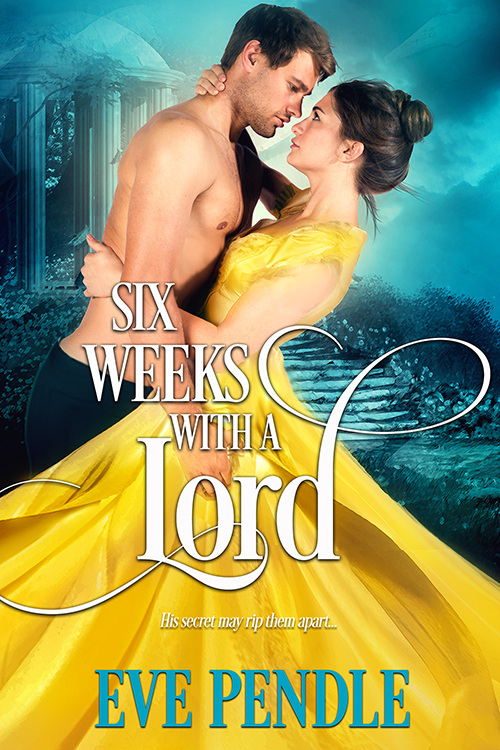 Six Weeks with a Lord is out on 25 June 2018. 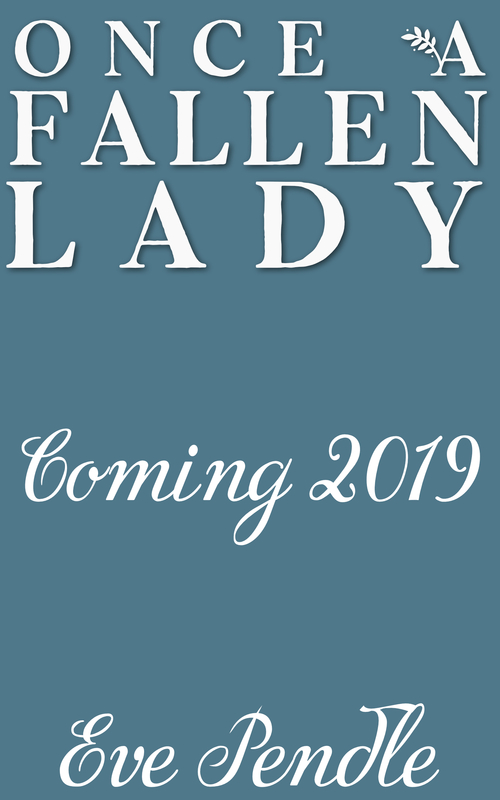 Sign up for my new releases email list for a reminder when it’s available.